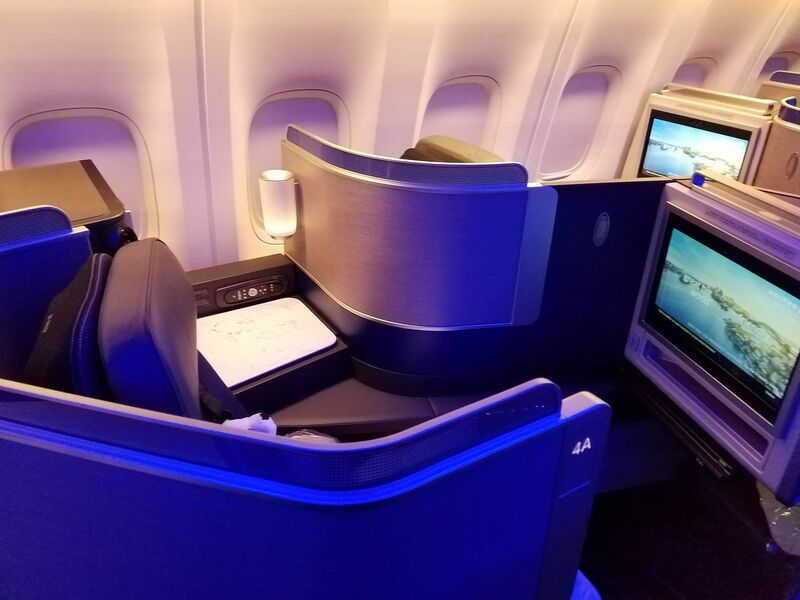 United has been slow to roll out its new Polaris business class seats, but in the spring they said they’d accelerate the pace to an average of one every 10 days<?a>. The stickler here is that this ‘average’ is over a period of years, and it’s heavily backloaded. They’re still moving slowly now so will have to be much faster than one per ten days in the future to make up for it. I know the claim ties to a spreadsheet somewhere but I remain skeptical that they actually hit the number. Citibank will be excluding several kinds of charges, and several specific merchants from earning rewards in the Singapore market. The logic of what they’re doing certainly could port over to the U.S.
Delta is testing three course meals in coach on the Portland – Tokyo route. Before the meal service begins those on board are offered ‘welcome bubbles’, which includes a choice of three Bellinis or a sparkling soft drink. Then a printed menu detailing the food choices are handed out. Selection could include a quinoa salad as a starter, a main course of pasta with cauliflower in a cream sauce and a dessert of Häagen-Dazs ice cream. Rather than the usual meal trays, the food is served on white dishes and passengers are also given white cloth napkins rather than paper. The cutlery is still made from plastic, but it is described as being more robust and sleek. Washington National will get another American Airlines Boeing 737 MAX flight, one of their daily Miami frequencies will get the new subpar interior. Miami is where these planes have been initially based, but DC also will be getting one for the long Los Angeles segment. Another American flight to avoid. Not only does it lack seat back video and feature only 30 inches between seats in back, there’s less legroom even in extra legroom coach and first class. New Priority Pass restaurant in the Boston airport before security in terminal C. Available 2pm – 8pm only. While I don’t like it, up-gauging here just makes sense. The flights out of DCA (especially the two LAX and one LAS routes) are just jammed like sardines. While I wish the product were better I get what they’re doing. I guess we’re stuck waiting for the 321-neos or for more senators from western states to force for slot exemptions? Bbbbbbbbuuuuut……Zach Honig says that United is wonderful; Polaris seats are superior to anything from American or Delta; and the Polaris lounges were created just for elite and savvy passengers just like him and his boyfriend. No seat back IFE? Sweet. More of that please. Seriously. We get it, Gary. You don’t like these planes. Thankfully, you are not a airline CEO.